Only 4 4WD Double Cab 147 Custom models left in stock! 4x4, Rear Air, Back-Up Camera, Aluminum Wheels, ENGINE, 5.3L ECOTEC3 V8, AUDIO SYSTEM, CHEVROLET INFOTAINMENT.. Custom trim, HAVANA BROWN METALLIC exterior and JET BLACK interior. FUEL EFFICIENT 20 MPG Hwy/15 MPG City! AND MORE! 4x4, Rear Air, Back-Up Camera, Aluminum Wheels. 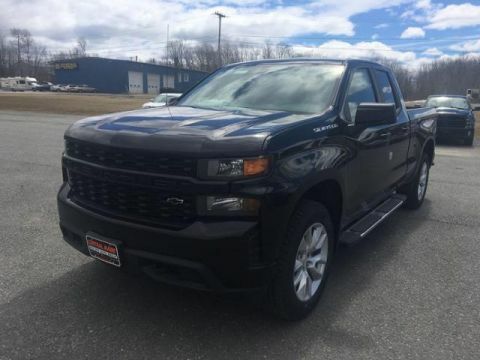 Keyless Entry, Privacy Glass, Heated Mirrors, Electronic Stability Control, 4-Wheel ABS. ENGINE, 5.3L ECOTEC3 V8 (355 hp [265 kW] @ 5600 rpm, 383 lb-ft of torque [518 Nm] @ 4100 rpm), CUSTOM CONVENIENCE PACKAGE includes (BTV) Remote Start with (UTJ) content theft alarm, (C49) rear-window defogger, (UF2) bed LED cargo area lighting and (QT5) EZ Lift power lock and release tailgate, DIFFERENTIAL, HEAVY-DUTY LOCKING REAR, INFOTAINMENT PACKAGE includes (U2K) SiriusXM Radio and (UE1) OnStar, TRANSMISSION, 6-SPEED AUTOMATIC, ELECTRONICALLY CONTROLLED (STD), AUDIO SYSTEM, CHEVROLET INFOTAINMENT 3 SYSTEM 7 diagonal color touchscreen, AM/FM stereo. Additional features for compatible phones include: Bluetooth audio streaming for 2 active devices, voice command pass-through to phone, Apple CarPlay and Android Auto capable. (STD). 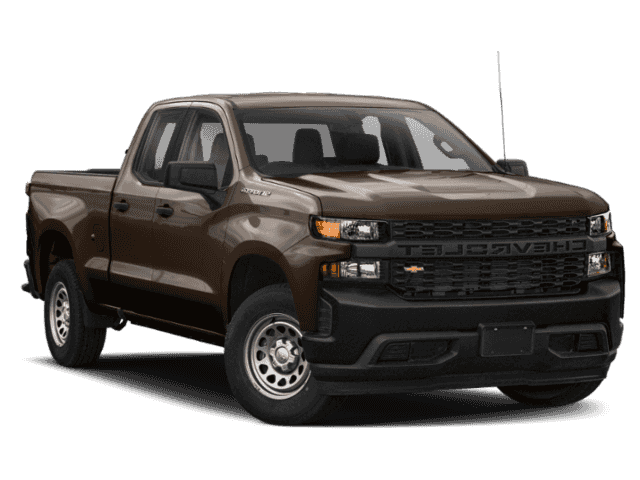 Chevrolet Custom with HAVANA BROWN METALLIC exterior and JET BLACK interior features a 8 Cylinder Engine with 285 HP at 5300 RPM*. 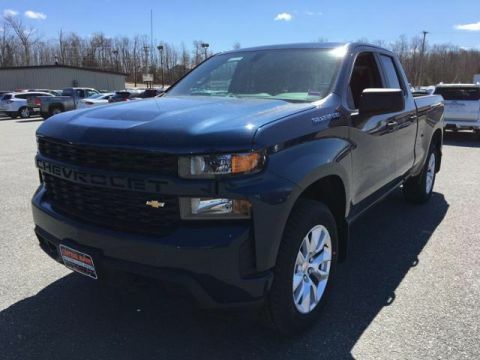 The Silverado is exceedingly comfortable on the road, and its steering is nicely weighted and direct. -TheCarConnection.com. Great Gas Mileage: 20 MPG Hwy.